Kick up your creative juices and color outside the lines with a Crayon Gift Card. 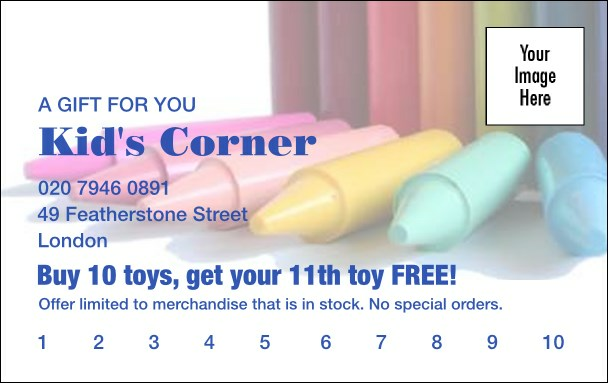 Perfect for kids playhouses, toy stores, and schools. The Crayon Gift Card features a white background and an array of colored crayons. Have more time to run, play, and giggle when you use TicketPrinting.com’s simple steps and create your custom Gift Card in about 15 minutes! Put in your information and go have fun, TicketPrinting.com will take care of the rest.